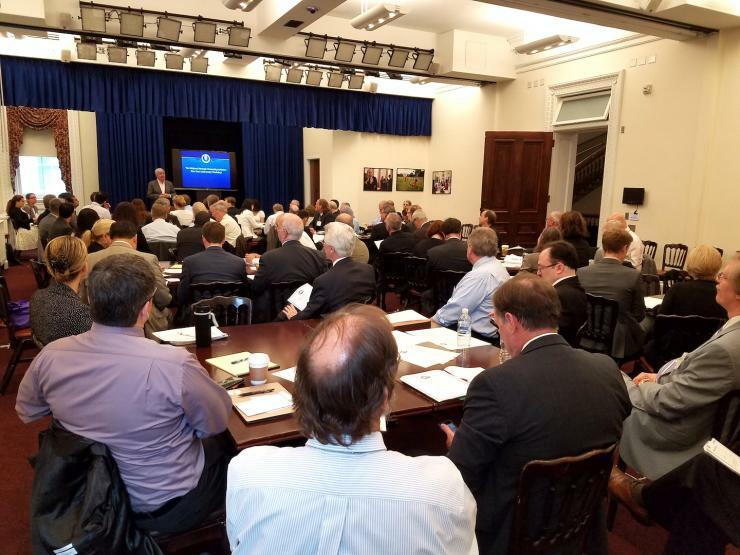 Georgia Tech Professor David Bader, chair of the School of Computational Science and Engineering (CSE), participated in the National Strategic Computing Initiative (NSCI) Anniversary Workshop in Washington D.C., held July 29. Created in 2015 via an Executive Order by President Barack Obama, the NSCI is responsible for ensuring the United States continues leading in high-performance computing (HPC) in coming decades. Bader, a renowned HPC expert, leads several initiatives and projects that connect to the NSCI’s core objectives. He attended the invitation-only meeting to offer his insights on the country’s current standing in HPC. The goal of the NSCI is to advance core technologies in order to solve difficult computational problems, and foster increased collaboration between the public and private sectors. It will enable new analytic methods requiring more extensive computer processing, such as emerging techniques that allow artificial intelligence to learn new skills from large number sets. There are also national security benefits, including using modeling and simulation to design vehicles resistant to improvised explosive devices (IEDs). This coordinated national HPC strategy draws on the strengths of departments and agencies to move the federal government into a position that sharpens, develops, and streamlines a wide range of new 21st century applications. For additional information about David Bader or the National Strategic Computing Initiative, please use the links provided.